Finding People within United Kingdom is best achieved by accessing quality consumer data. Search UK Electoral Roll have built a simple intuitive interface that utilises superb sources of accurate data to enable the client to have a much greater chance of tracing the right person, first time. With more names, more addresses, more emails, more age data and more landline and mobile data than any other public facing people tracing system. You maybe looking to trace Friends and family you have lost touch with, ex partners, debtors, potential witnesses, missing freeholders, ex tenants, beneficiaries, clients customers, missing persons etc. Best practice when researching a person is to start with full names rather than a nickname e.g Steven rather than Steve. Also try variations on a known name for example Steven or Stephen or Tracey and Tracy etc or just try the surname within the postcode. Clients using the free search tool will not be able to use the shaded input fields. Clients with an appropriate subscription will be able to access additional fields. To obtain a full date of birth within search results, if available, please upload a copy of your driving licence or passport to confirm your identity. You can do this at any time during your subscription. Once your account is verified, as per our terms, Gold members will be returned a full data of birth within instant search results when known. We have developed and collated multiple data sets to enable you to search not only the Electoral Roll but many other consented data sources in one simple search. 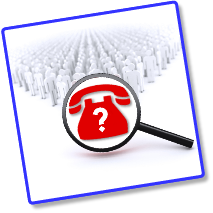 We provide within our search packages the ability for you to search for UK mobile telephone and ex directory telephone data and that means you have access to much more flexible search options than you would with other people search engines. Use the Electoral Roll searching to search UK wide - for example, you can search for "John Smith" without having to specify any type of location or current address. However, this type of searching will bring back a long list of results, so we encourage you to refine your people search by other known facts e.g. 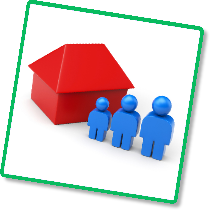 household occupants (spouse or daughter etc.) or best of all by using a full or partial date of birth. Tracing people is made easier by building databases that provide genuine avenues of investigation. Our systems are used by professional investigators, solicitors, probate researchers and the general public. Our electoral roll data dates from the early nineteen eighties all the way through to the current year. This provides valuable opportunities when looking to trace a person especially when people have participated in multiple marriages or perhaps multiple name changes.